Feel the heat! These magnificent multi key rings are offered at red hot bargain prices. 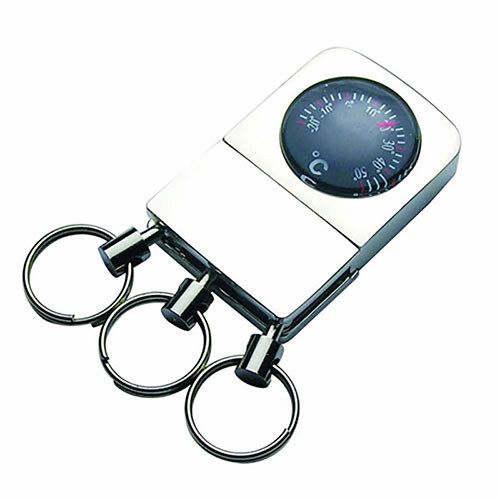 They feature a circular thermometer dial set in a fine quality silver plated fob. Three sturdy rings are attached to the fob on hinged clasps, allowing easy access to a large number of keys. These silver plated key ring holders are offered with free engraving of text and logos and are ideal as engraved corporate gifts or promotional merchandise.